Jack Crawford Taylor was born on 14 April 1922, in St. Louis, Missouri USA, and was a billionaire businessman, best known for founding the Enterprise Rent-A-Car Company. He was well known for helping develop his company from a local service to a highly successful car leasing company. All of his efforts helped put his net worth to where it was prior to his passing in 2016. How rich was Jack Taylor? As of early 2017, sources inform us of a net worth that is at $12.8 billion, mostly earned through the success of Enterprise. The company would become so successful that they would garner billions of dollars in revenue annually, which ensured the position of his wealth. He was also involved in philanthropic work throughout his life. Jack attended Washington University in St. Louis, and would become part of the Olin Business School. He then left to join the US Navy, and during World War II he piloted an F6F Hellcat on the USS Enterprise and USS Essex aircraft carriers. Thanks to his achievements, he was rewarded with two Distinguished Flying Crosses and the Navy Air Medal. After the war he returned to St. Louis, and would start a delivery service business, before being employed at the Lindburg Cadillac dealership in 1948, rising up the ranks to eventually become sales manager. In 1957 he decided to start a car leasing business as part of the dealership partnered with his employer, and both would increase their net worth thanks to this deal. They targeted people who were already in the shop, starting out with seven cars under the name Executive Leasing Company. 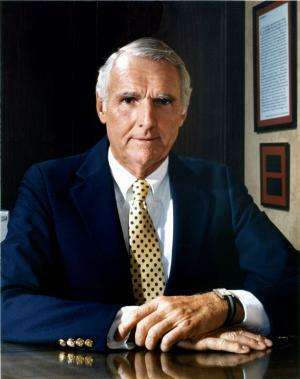 In 1969 Taylor expanded his business, and would change its name to Enterprise after the aircraft carrier on which he served during World War II. While his competitors were focused on airports, he decided to focus on offering home pick-up services, developing the slogan “We’ll Pick You Up” and would become very popular. His net worth was increasing significantly, as by 1980 the company had grown to 6,000 cars. Nine years later, it would grow exponentially to 50,000 cars, and would be officially named Enterprise Rent-A-Car. In 1992, Enterprise would earn over $1 billion in revenue, which would make Taylor one of the billionaires of the world, exceeded this even further over the next few years. In 2007, Jack bought Alamo Rent-A-Car and National Car Rental, growing his business even further. He established the credo “Take care of your customers and employees first, and profits will follow”. Eventually, the business transitioned to his son Andrew who became the executive chairman of the company. For his personal life, it is known that Jack was married to Mary Ann Taylor but they divorced. They had two children, Andrew and Jo Ann Taylor who is the head of the family’s philanthropic activities. Jack was known to give significant contributions to numerous establishments including a $92.5 million donation to 13 cultural institutions in St. Louis. He also gave $40 million to the St. Louis Symphony Orchestra and $30 million to fund global plant research at the Missouri Botanical Garden. He passed away at the age of 94 in July 2016.